A graphic artist, painter and art critic, Budko was born in Plonsk, Poland, and studied art in Germany under Hermann Struck. Budko settled in Berlin 1910, migrating to Palestine in 1933. In 1935 he was appointed Director of the Bezalel School of Art and Crafts, a position he retained until his death in 1940. Under Struck, Budko became one of a group of Jewish graphic artists who championed the revival of the woodcut. He developed his own powerful graphic style, which included drypoint etching and woodcuts and created many book illustrations including those for the work of Sholem Asch and Sholem Aleichem. He often used Hebrew characters and drew on traditional Jewish symbolism. 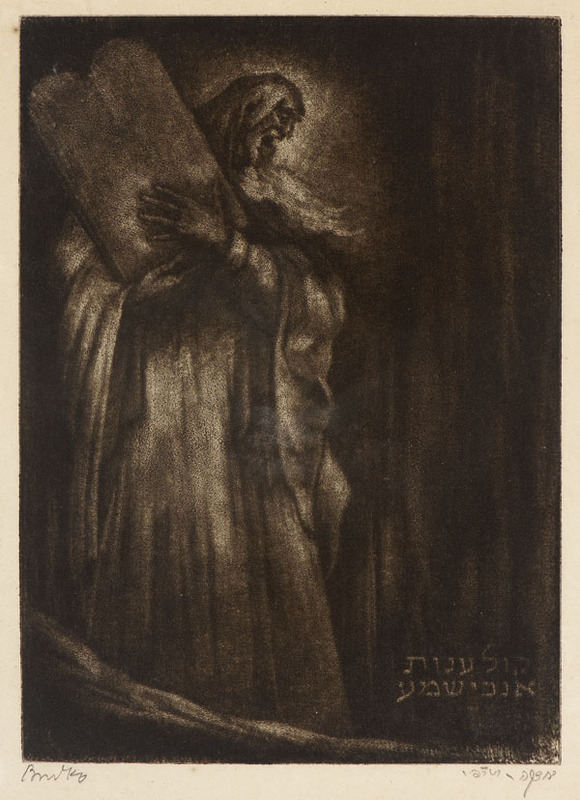 His religious portfolios include Haggadah shel Pesach (26 drypoint Works, 1917). In 'Jewish Art' (edited by Cecil Roth, 1961) Joseph Budko, along with Hermann Struck and others, is described as a leading representative of 'the German school with a marked Jewish tendency'. Budko was also a painter but is best-known for his etchings and bold, expressive woodcuts.